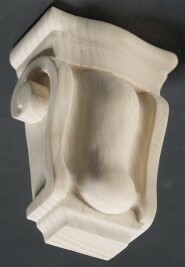 1-3/4" Deep x 4-1/2" High x 3" wide 2 per package. 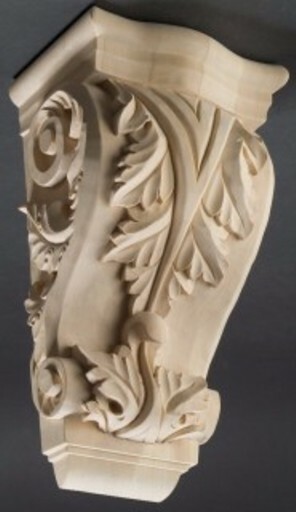 Made from Lindenwood stainable or paintable. 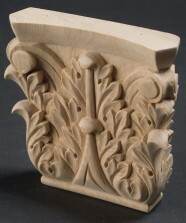 1-3/8' Deep x 6" wide x 6" high. 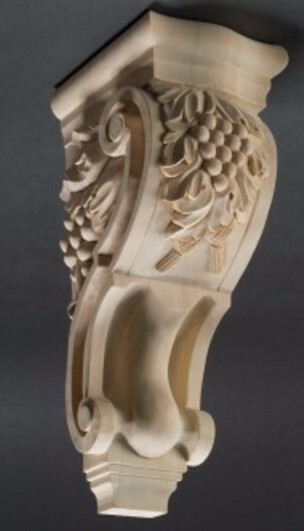 Top for casings. 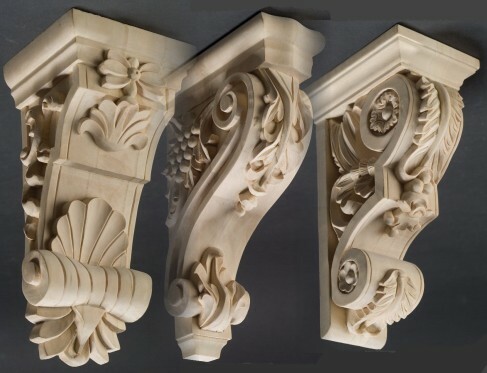 1 per package. 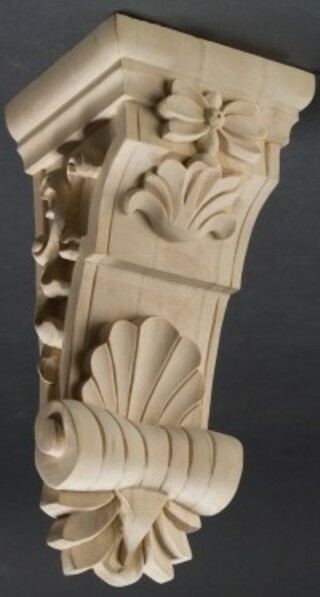 Made from Lindenwood stainable or paintable. 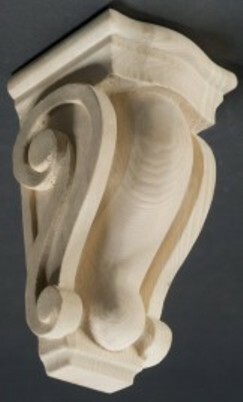 7-7/8" Deep x 6" wide x 14" high carved corbel lindenwood stainable or paintable. 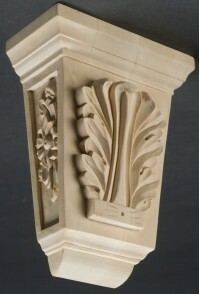 5-1/4" Deep x 7" wide x 14" high carved corbel lindenwood stainable or paintable. 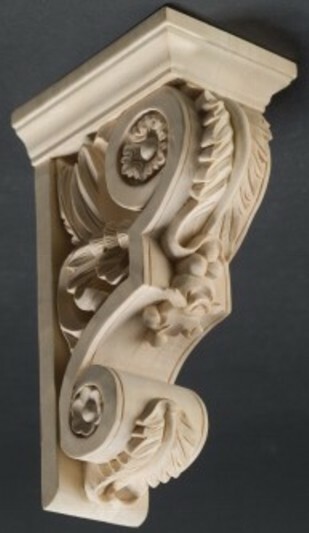 8" Deep x 3-1/2" wide x 13" high carved corbel lindenwood stainable or paintable. 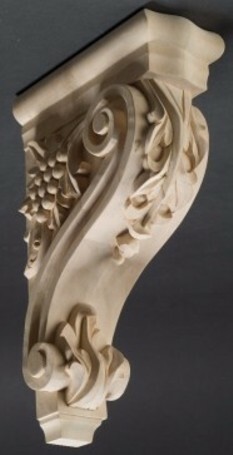 7" Deep x 5-1/2" wide x 15" high carved corbel grapes on face lindenwood stainable or paintable. 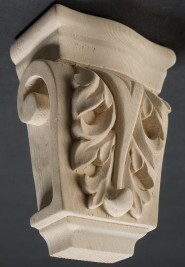 5-1/4" Deep x 4-1/2" wide x 10-1/4" high carved corbel Made from Lindenwood hardwood for staining or painting. 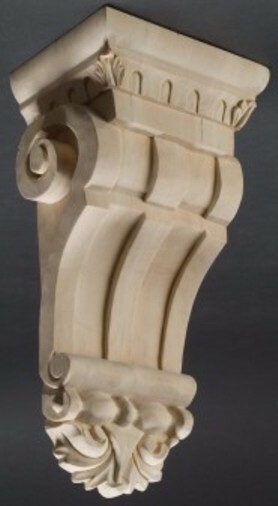 OCW227 3-1/2" deep x 3-3/4" wide x 6-1/2" high Made from Lindenwood hardwood for staining or painting. 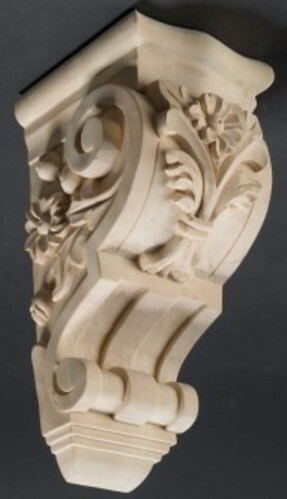 OCW228 2-7/8" Deep x 6" wide x 8" high imported hand carved corbel Made from Lindenwood hardwood stainable or paintable.